The exciting field of therapeutic monoclonal antibodies (MABs) had its origins when Köhler and Milstein presented their murine hybridoma technology in 1975. 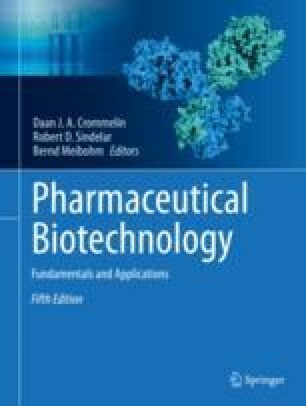 This technology provides a reproducible method for producing MABs with unique target selectivity in almost unlimited quantities. In 1984, both scientists received the Nobel Prize for their scientific breakthrough, and their work is viewed as a key milestone in the history of MABs as therapeutic modalities and their other applications. Although it took some time until the first therapeutic MAB received FDA approval in 1986 (Orthoclone OKT3), MABs are now the standard of care in several disease areas. In particular, in oncology, transplantation, and inflammatory diseases, patients now have novel life-changing treatment alternatives for diseases that had very limited or nonexistent medical treatment options before the emergence of MABs. Today, more than 75 MABs and MAB derivatives are available for a variety of indications. The majority of approved biologic therapies are MABs, antibody-drug conjugates (ADCs), antibody fragments, and Fc fusion proteins. Technological evolutions have subsequently allowed much wider application of MABs thanks to the ability to generate mouse/human chimeric, humanized, and fully human MABs from antibodies of pure murine origin. In particular, the reduction of the xenogenic portion of the MAB structure decreased the immunogenic potential of murine MABs, allowing their wider application. MABs are generally well-tolerated drugs because of their target selectivity, thus avoiding unnecessary exposure to, and consequently activity in, non-target organs. This is particularly apparent in the field of oncology where MABs such as rituximab, trastuzumab, bevacizumab and immune-oncology MABs such as atezolizumab, pembrolizumab and nivolumab can offer a more favorable risk-benefit profile compared to common chemotherapeutic treatment regimens for some hematologic cancers and solid tumors. Editorial and technical support was provided by AnshinBiosolutions, Corp.